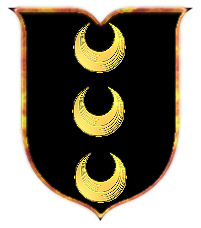 Coat of Arms: Black with three gold crescents. Motto: Omne bonum Dei donum. Motto Translated: Every good is the gift of God. 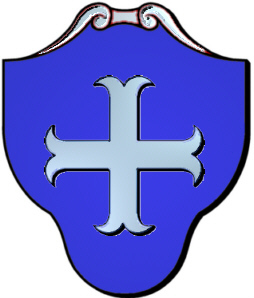 Coat of Arms: Blue shield with a silver cross moline. Motto: Le souvenir tue bouton. CLICK HERE FOR EARLY BOUTON HISTORY STATING THAT THE BOUTON FAMILY IN AMERICA ORGINATED IN FRANCE. Spelling variations of this family name include: Boughton, Bourton, Borton, Boughten, Bourten, Borten, Bouton and many more. First found in Warwickshire, where they held a family seat from ancient times, long before the Norman Conquest in 1066. Some of the first settlers of this family name or some of its variants were: Thomas Boughton who settled in Virginia in 1639; James Boughton arrived in Philadelphia Pa. in 1852; D. Boughton arrived in San Francisco Cal. in 1851. 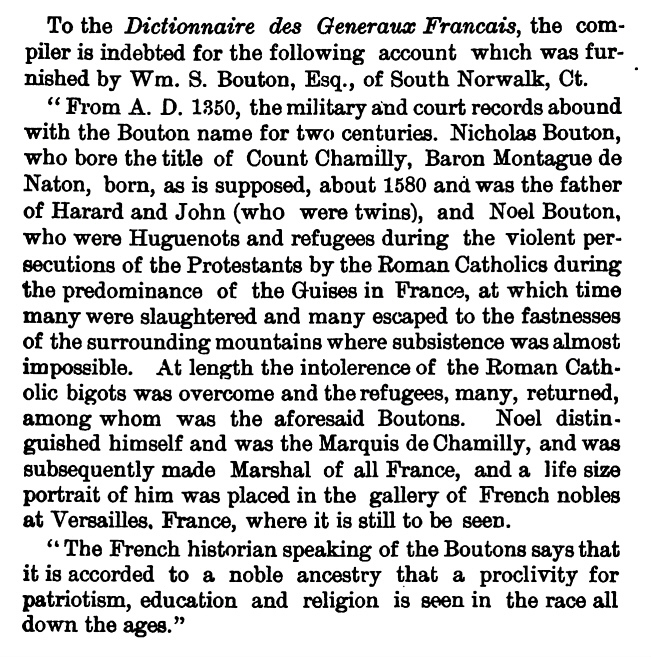 Spelling variations of this family name include: Bouton, Boutons, Boutonne, Boutonnes, Boutton, Bouttons, Bouttonne, Bouttonnes, Buton, Butons, Butonne, Butonnes, Button, Buttons, Buttonne, Buttonnes, de Bouton and many more. First found in Bourgogne, where this prestigious family has been traced from ancient times.